controller was deployed there from April to September 2011. The main challenge was to understand and to adapt to the Indian way of working. The grandstands were supplied and erected on time. 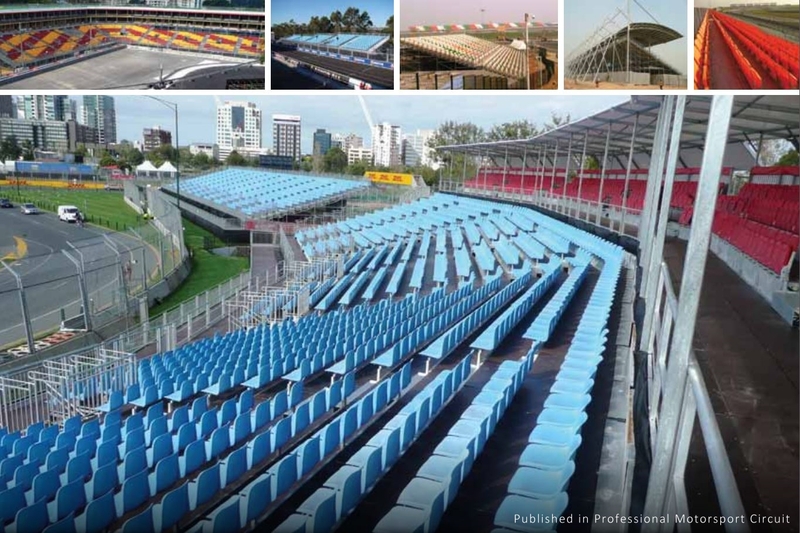 In February 2012, Pakar Seating was selected by Moscow Raceway for the supply and erection of 27,000 seats of grandstands. Once again, Pakar Seating decided to manufacture part of the grandstands locally; the 27,000 bucket seats were made in Russia. The import taxes on plastic items in Russia is 20%.